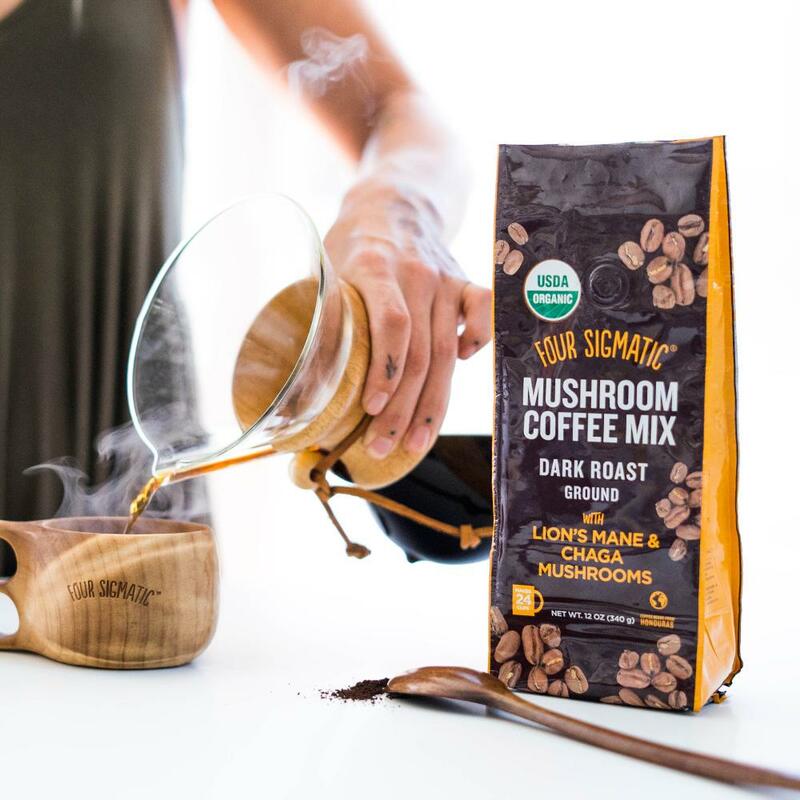 I found this fantastic ground mushroom coffee by ‘FOUR SIGMATIC on mushrooms’ that I think you all will find simply delicious! 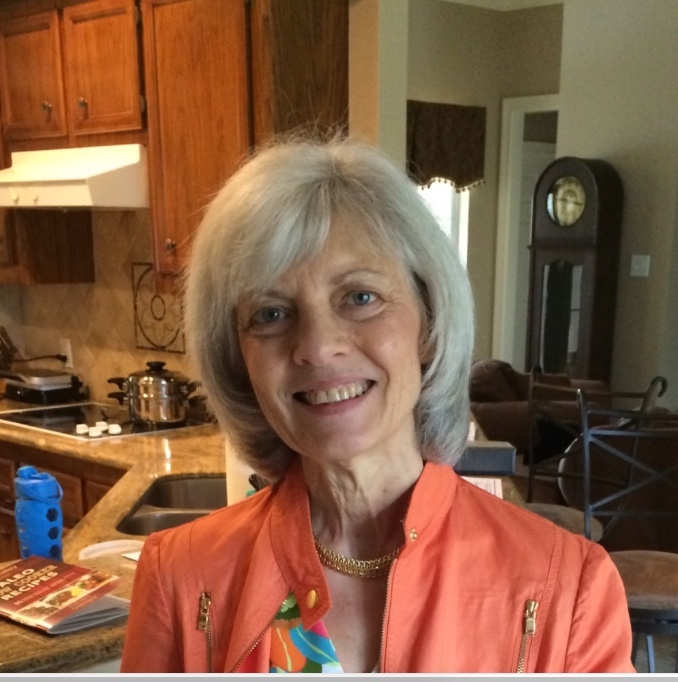 I have especially enjoyed the coffee blends and love the immune modulating effects of the mushrooms. Introducing our first ever Ground Mushroom Coffee! You can now enjoy our delicious and best selling product in the form of ground coffee. Coffee connoisseurs unite! What’s unique about the ground coffee? Since we first released our best selling product, Mushroom Coffee, we have been getting requests to make a ground coffee version. In fact, we’re asked about this almost daily! 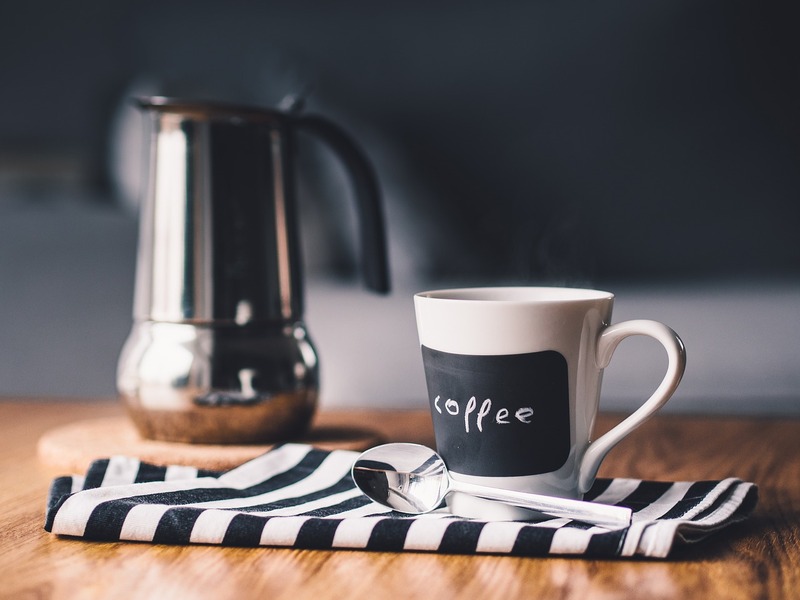 Many of you prefer the morning ritual of using your french press, pour over or coffee machine over an instant coffee and that’s understandable. Well, if you’re one of those who prefer brewing your own cup, your time has come. Not only is our new ground coffee organic and fair trade certified, but it is also our cheapest cup to date. At $23.90 for a 12oz bag, making 24 servings, each heavenly cup will only cost you .99 cents! Also, this coffee has organic Lion’s Mane extract and Wild Siberian Chaga mixed directly into the blend. Get your productivity support and antioxidant properties with every sip without sacrificing that great coffee taste. In fact, the flavor profiles and mouth-feel of regular coffee and chaga mushroom “tea” are so close to each other that chaga mushrooms were once used as a coffee replacement during World War II in Finland! It’s like these mushrooms and coffee were meant to work together! Q: What is the origin of the coffee? A: Certified organic and fair-trade Arabica bean coffee from Honduras roasted in the US by a 5th Generation Roastmaster. Q: What are the ingredients and how many mushrooms per serving? A: Simple, just three ingredients. Coffee, dual-extracted chaga, and dual-extracted lion’s mane. Oh, and the mushrooms are certified organic as well with 500mg of them per serving. Q: How much caffeine per serving? A: Since it’s a fresh brewed coffee experience, it’s harder to guarantee the exact caffeine amount but it is equivalent to regular 8 oz Starbucks coffee. Q: How many servings are there per bag? A: In a 12oz bag, there are 24 servings. Q: How can I brew a cup? A: One of the greatest things about this ground coffee is that you can make it in your french press, coffee machine or pour over. Q: How long is the shelf life of the ground coffee? A: Our organic, fair trade coffee has a 12 month shelf life.